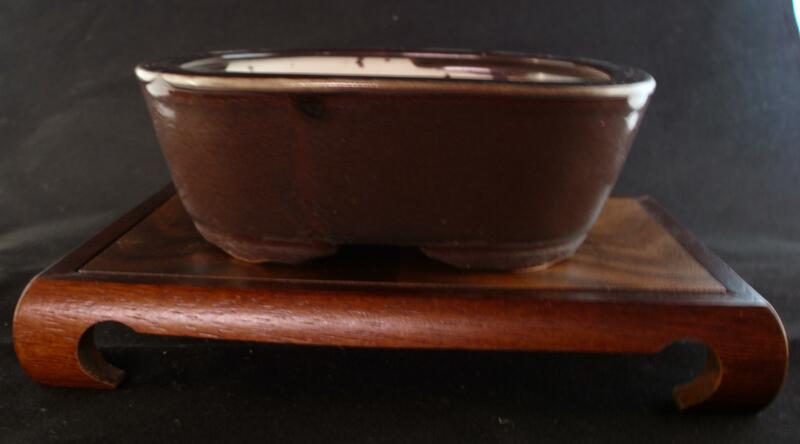 Born September 12, 1920, Ogurayama has been making pots as an independent since 1975. He first gained great fame upon his first entry in the Japanese Kobachi Exhibition, in 1981, wherein he took a prize. He’s gone on to win many other prizes in the Kobachi exhibition since. 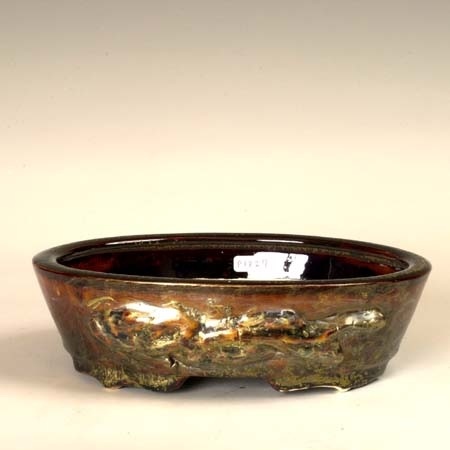 Styles, shapes, and sizes are varied covering all aspects of the potters craft, though his painting work is very much in the Kyoto traditional style. 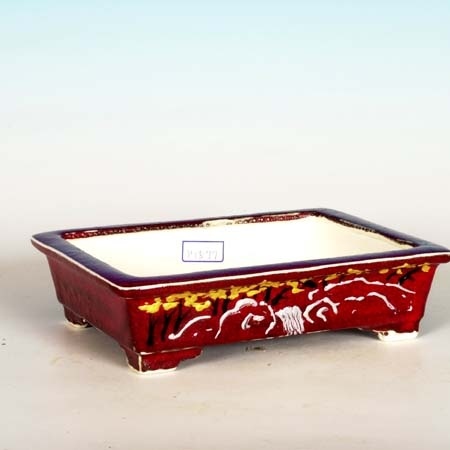 A glance through any Gafu Ten album after 1990 will show you just how popular the better Ogurayama pots are! 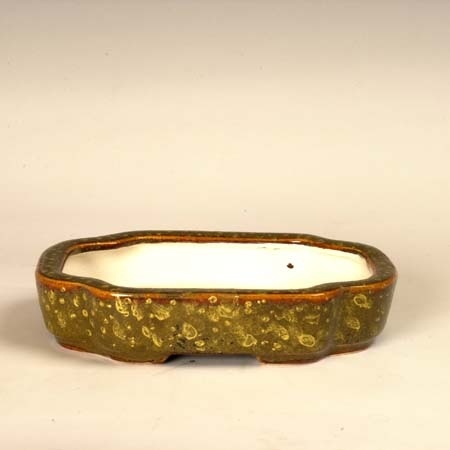 Small Dark green Ogurayama with white clay from my collection. 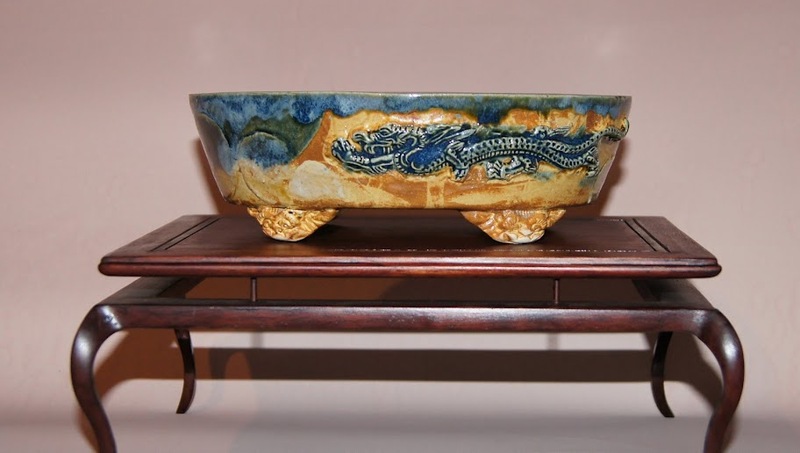 Shohin size Ogurayama with carved and inlaid Dragon, multiple glazes, and detailed feet. 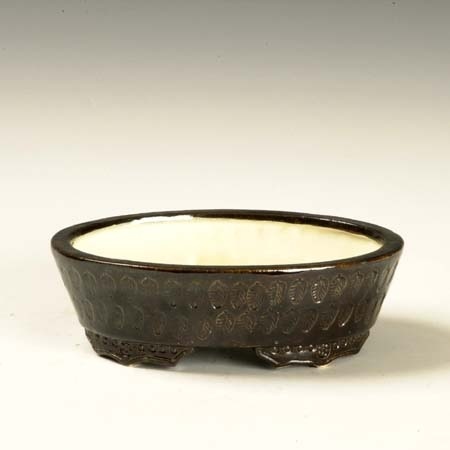 Dark Green-brown glazed pot with white clay and impressed Zelkova leaves. 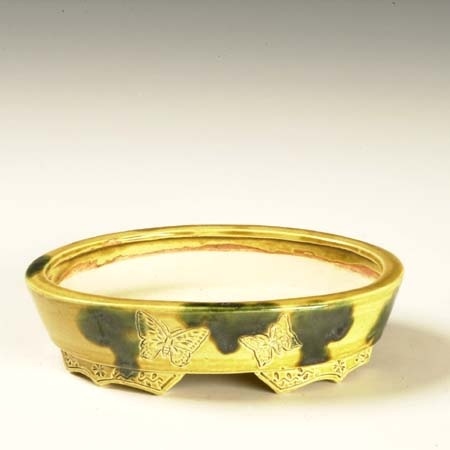 An interesting glazed pot with carving detail of a flower and a gold overglaze enamel interior of the flower, resembling a crown. Interesting bright green and yellow glazed pot with butterfly reliefs. 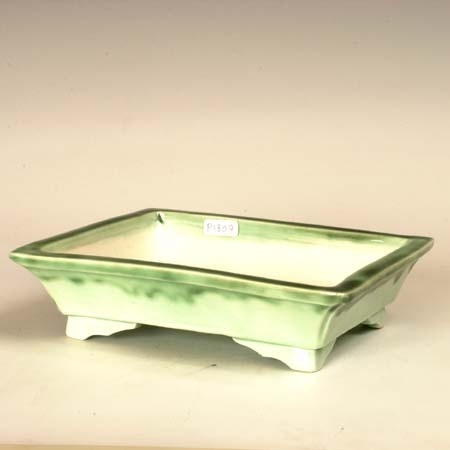 Porcelain pot with a very interesting celadon glaze. 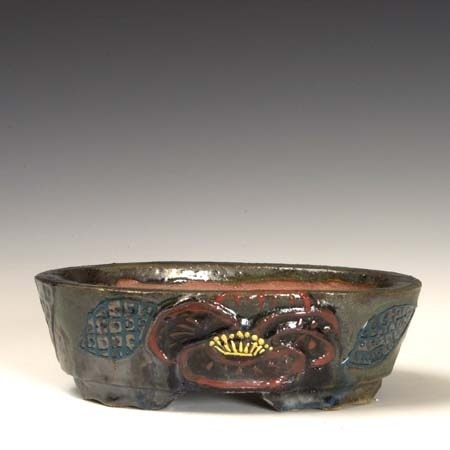 Another very interesting, very thickly glazed dragon pot. 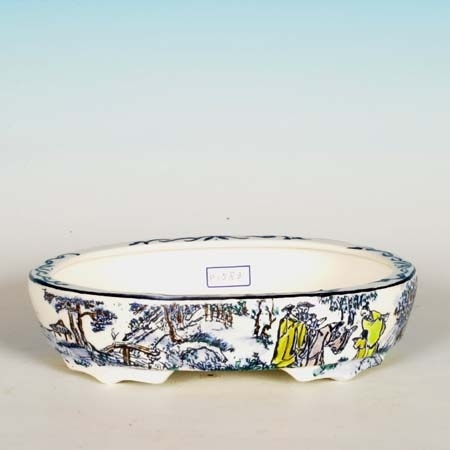 Very nicely detailed Go-Sai(5 colors) painting pot. 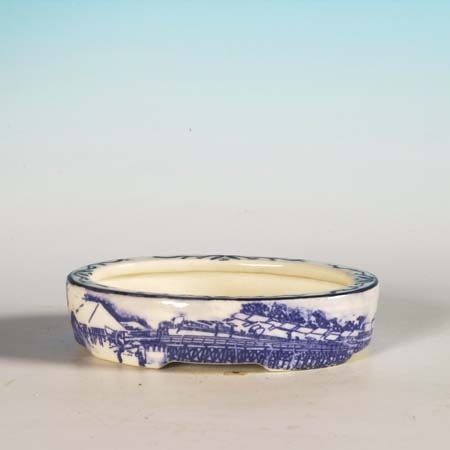 Dont quite know what to make of this very oddly and impressionistically overglaze enamel painted pot! 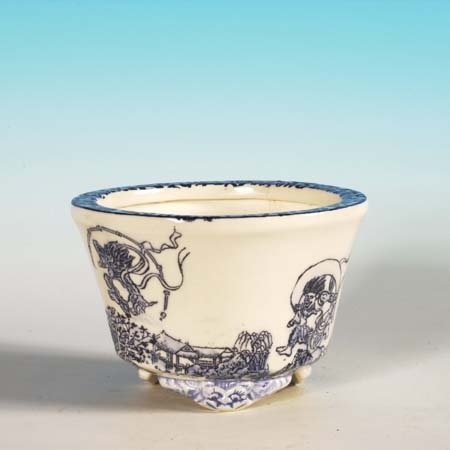 Very Elegant and pretty Sometsuke porcelain. This very nicely detailed painting pot is from a very famous Japanese painting by Tawaraya Sotatsu, shown below, and features the god of Thunder from the Shinto religion, Raijin, and the god of the winds, Fujin. You see this image, along with Ando Hiroshiges “53 Stations of the Tokaido,”(Where the small sometsuke above originates) repeated over and over on great painted Japanese Bonsai pottery. Its almost a must that great painters paint a few pots with these images. 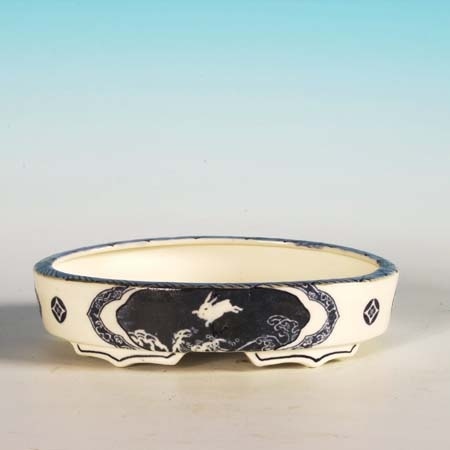 Nicely painted overglaze enamel piece with a small bird. Another finely glazed white clay pot with impressed leaves. I really like the color of this glaze! Hope you enjoyed a few pots from Ogurayama! 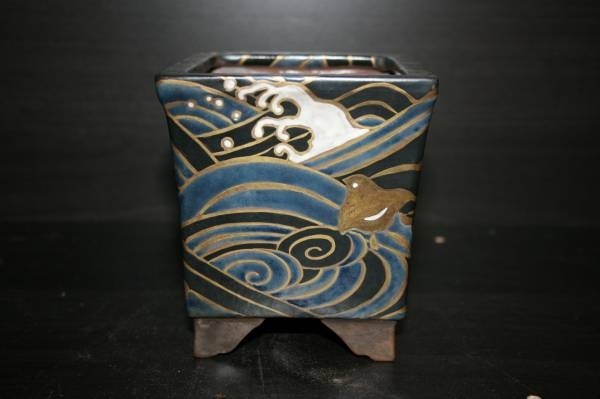 This entry was posted in Modern Potters, My Personal Collection and tagged bonsai pottery, god of the winds, god of thunder, japanese painting, porcelain pot, shinto religion. Bookmark the permalink.